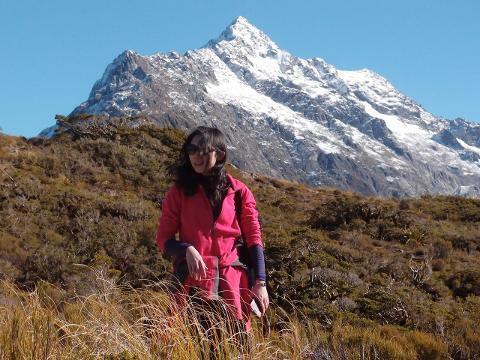 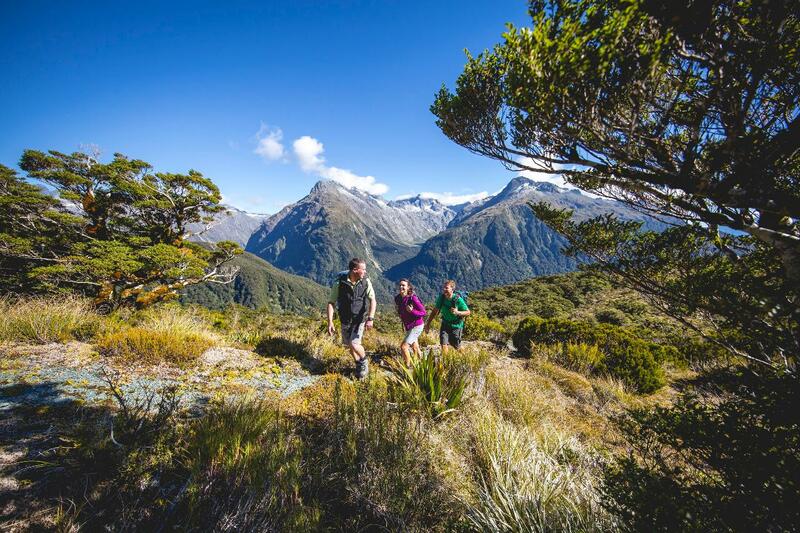 Join Trips & Tramps from Te Anau, and travel in a small group to Fiordland's mountain divide by vehicle. 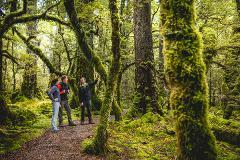 Your 8km return Routeburn Track guided walk begins at the Divide Shelter, ascending through lush, temperate rain forest on a well-maintained track. 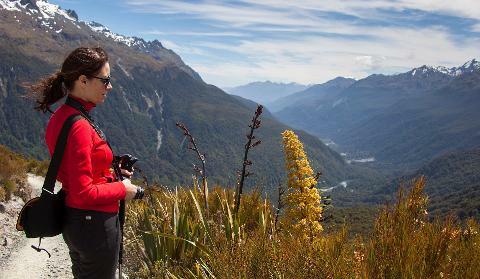 The steady climb takes approximately 2 hours at a leisurely pace. 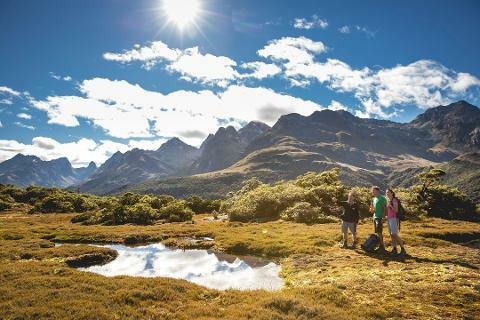 A maximum of 12 walkers with a Trips & Tramps guide provides an excellent opportunity to learn about the natural and human heritage of Fiordland. 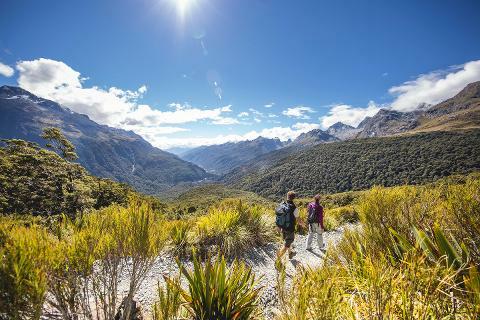 Gaining an elevation of 400 meters, emerge from the forest into the alpine environment, with panoramic views of high snowy peaks, alpine lakes, and deep bush clad valleys. 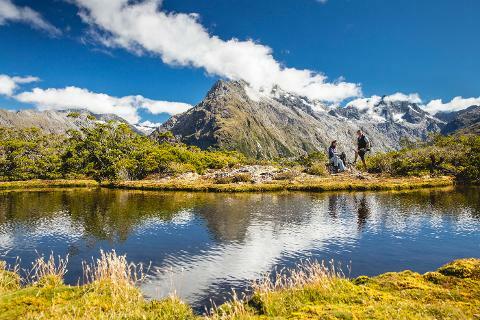 On a fine day lunch is on the summit amidst the alpine tarns, and in unfavorable conditions in the shelter of a nearby tramping hut. 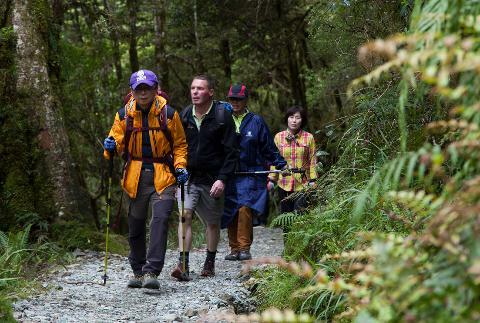 After lunch steps are retraced to the Divide Shelter before returning to Te Anau.